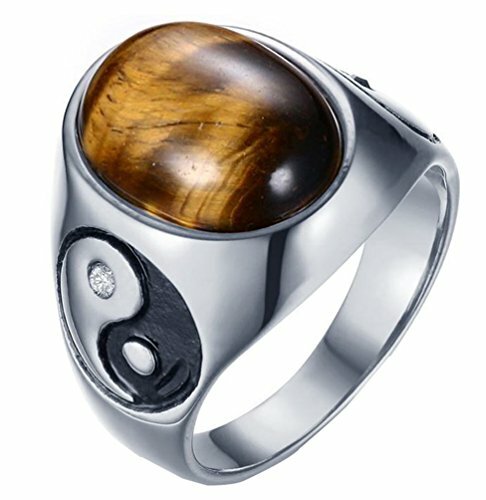 Yin Yang Ring Two halves that together complete wholeness. Yin and yang are also the starting point for change, both halves chasing after each other as they seek a new balance with each other. It looks much more expensive than it costs. Comfortable to wear all day and a staple in any closet. Our materials make for a brilliant, high quality, seamless, jewelry piece with longevity. 2. If you have any questions,please feel free to contact us ,and we will get back to you within 24 hours. 3. DO not worry about the issue of refund or return. We promise 60-day warranty. 4. Standard shipping time (USPS) is 7-14 days. If you have any questions about this product by PAMTIER, contact us by completing and submitting the form below. If you are looking for a specif part number, please include it with your message.